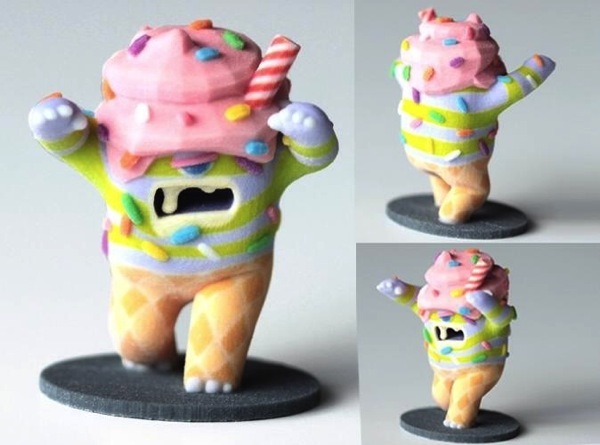 Monstermatic – The 3D printing app to design monsters #3DThursday #3DPrinting #3D « Adafruit Industries – Makers, hackers, artists, designers and engineers! Monstermatic inspires kids of all ages to engage in creative play. Ultimately children can unleash their monster into the real world through 3D printing technology. 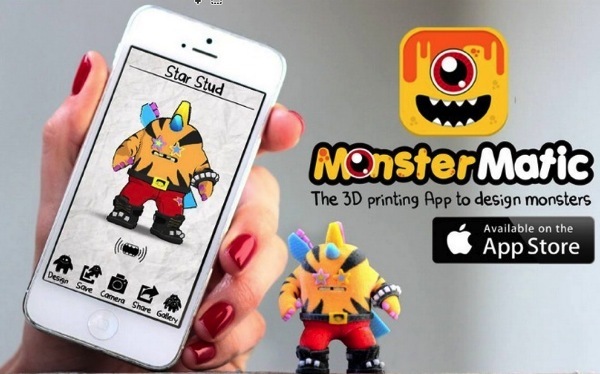 3D PRINTING: Seamlessly 3D print any monster you make in the app into a real life figurine. TALK to your monster: Talk to your monster and listen to it repeat what you said in it’s own funny way. PLAY with your monster: Push it, tickle it, shake it, make it fall and make it dance. CUSTOMIZE: 10 different monsters, each with different personalities and swappable parts. Swap horns, hats, teeth, eyes, etc… Make your monster really unique. DRAW: With your finger, draw anything you want on your monster. ANIMATIONS: Watch your monster explode, shoot with a paintball gun, smash a guitar and break your screen. CAMERA: Take fun pictures of your monster in the real world and send it to your friends.